Merciless Death started to shock the audience already in the mid '80s with their wild thrash hammering as one of the earliest Polish extreme metal bands. And of course the communist authories were not so pleased to hear that, so their names appeared on their black list very soon. After several complicated years and a system change the debut of the legendary band finally came out. 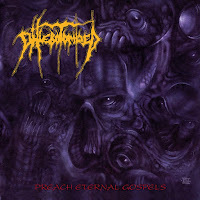 Their first demo "Eternal Condemnation" sounded quite stunning already, and proved that Merciless Death deserves wider attention in the extreme scene. 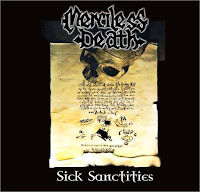 After the long break it seemed like they didn't lose anything from their intensiveness, "Sick Sanctities" was updated to the actual death metal tendencies, as the second demo, "Holocaust" predicted. The thrash basics remained, and the actual influences turned their music way more aggressive. Suddenly appearing light melodies compensing the speed of their music by creating a contrast. It's not a young rebel band anymore that could be heard on this album, but skillful musicians. Even though "Sick Sanctities" came out a bit late, it belongs to the cult classics of the early '90s. A piano melody introduces into the dark musical manifestation of the mystical horror maze of Catacomb. The walls of the maze were built up from the inspiration of Lovecraft's novels. The piano intros gave a melancholic impression, and became an important part of the dark atmosphere that is the most catchy feature on the EP. The other one is the melodic ambitions, and the two perfectly fits together and creating a balance. 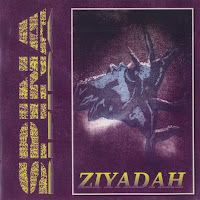 "In the Maze of Kadath" was not a brutality contest, though it's a death metal EP, but it's also far from melodic death. Diverse themes, melodic solo parts, mid speed, and strong, misty atmosphere are the main features. The very deep growling stlye and the occasional speed ups making a contrast, but these are essential parts of the main harmony. The musical concept of "In the Maze of Kadath" is closer to death/doom style than to death metal in general, even though it lacks the successful level of heaviness and extended slow downs. The influence of Paradise Lost is suspected. 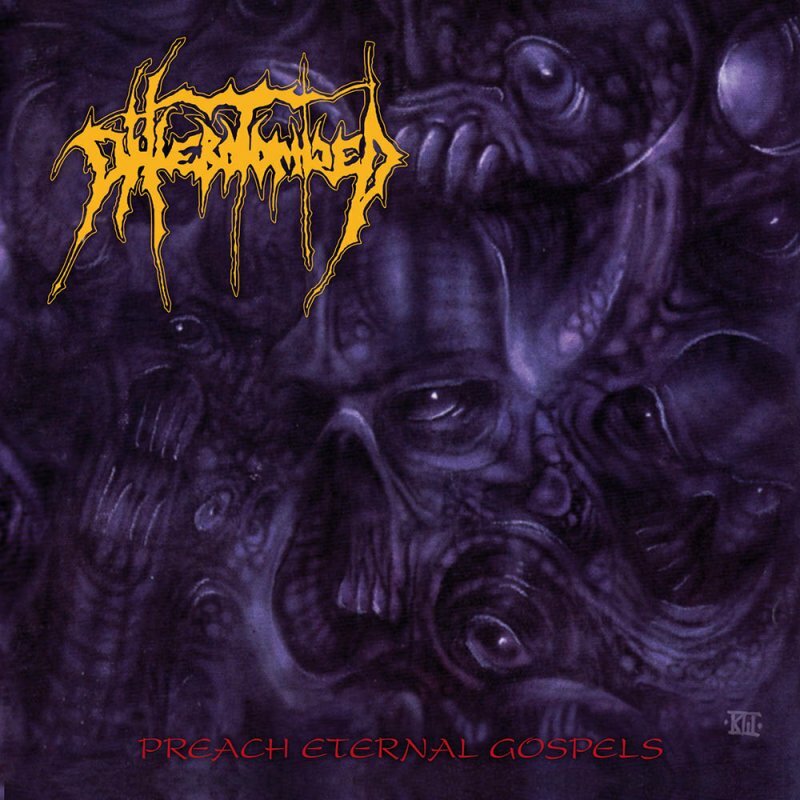 However, it's a unique record in the line of the early '90s extreme metal classics. An enjoyable old school hammering-based album was represented by the one and only record of Sickening Gore. 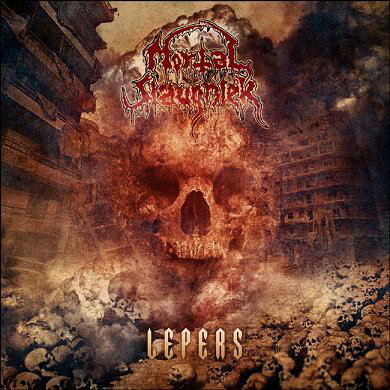 Even though the name and the visuals may suppose some gore and splatter centered concept, the music stays between the borders of old school thrash influenced death metal albums of the early '90s, with occasional grinding and brutal death references. The short noisy solos and the main themes are typically referring to the features of the Floridan scene, and by the actual influences they tried to spice up the main view a bit. 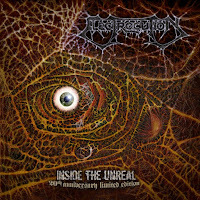 In general it's a more diverse album than most were in the very long line of death metal records of those times, but partly because of their huge amount, "Destructive Reality" simply got lost in the endless mass of extreme metal. The other thing is that it cannot really offer any attention sparking features or moments during it's shorter running time. Still it's a good album with great quality and could be entertaining for the seekers of old school death metal nostalgia. 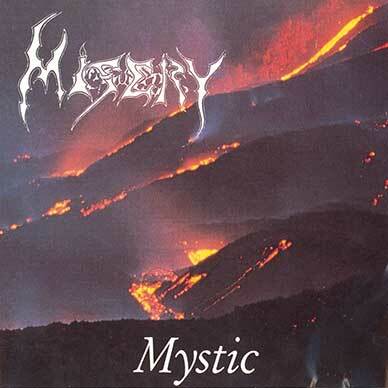 The one and only full-lenght album of Misery showed another alternative way in death/doom metal, which wasn't common at all. While most bands operated with melancolic melodies, progression or raw themes and putrid sound, the style of Misery was somewhere in the middle. Not too melodic, not too depressed, not fell into the darkest depths of hopelessness, only included a little bit of all. It's compatible with black metal audience too, because of considerable black influences in sound, feeling and vocal style. These are referring to the oldest manifestation of the genre and mainly the influence of Samael is suspected. The lyrics are also related to that direction, torment, mysticism, occultism and upper dark forces. 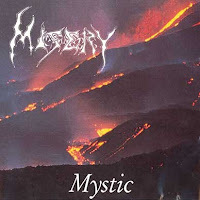 "Mystic" was one of the first albums which were influenced by black metal out of the genre, since it started the first steps in wider development that time. And it was an extraordinary album in the style of death/doom metal too. A less known old school classic! Depravity gave an important influence to Finnish death metal with the last act of their short active period. "Silence of the Centuries" was an EP only, but it could be an ideal sample to illustrate the features of the local death metal scene, and it's influence could be compared to old Sentenced, Convulse or Demigod. 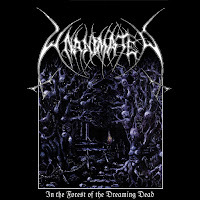 According to the main "concept" of Finnish death metal, not the overwhelming brutality took the leading role, but the catchy themes, and on the side of the putrid sound and cryptic deep growling vocals it's getting the really harsh tone. A dark atmosphere completes the main view by it's melancholic effect. The melodic solo themes partly resulting the same, partly increasing the intensity of the album. 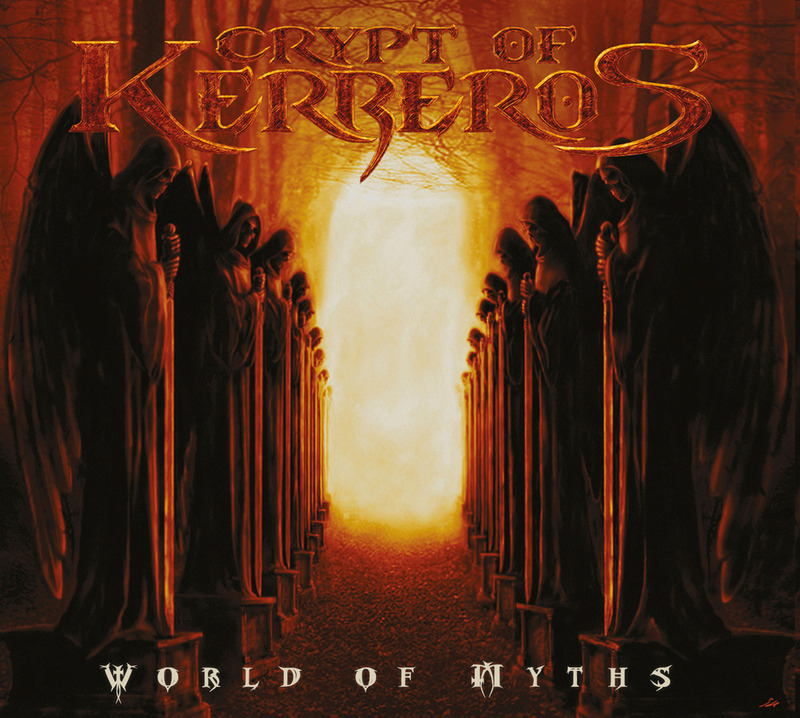 For the listener "Silence of the Centuries" opening the forgotten crypts of the underworld by the sinister impression of it's basic intense, hammering based and high quality death metal music. An enjoyable classic of the '90s extreme musickness! As the death metal wave exhausted from ideas, many bands drifted into progressive and technical direction in the struggle to create something new or they completely changed their style. A few bands like Unanimated debuted with something else by mixing the actual underground trends. 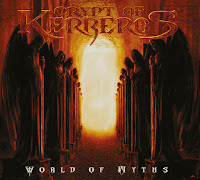 To turn death metal melodic wasn't ordinary that time, the band counts as one of the heralds of this style, which created a paradox by skeletonizing the genre from it's main features. 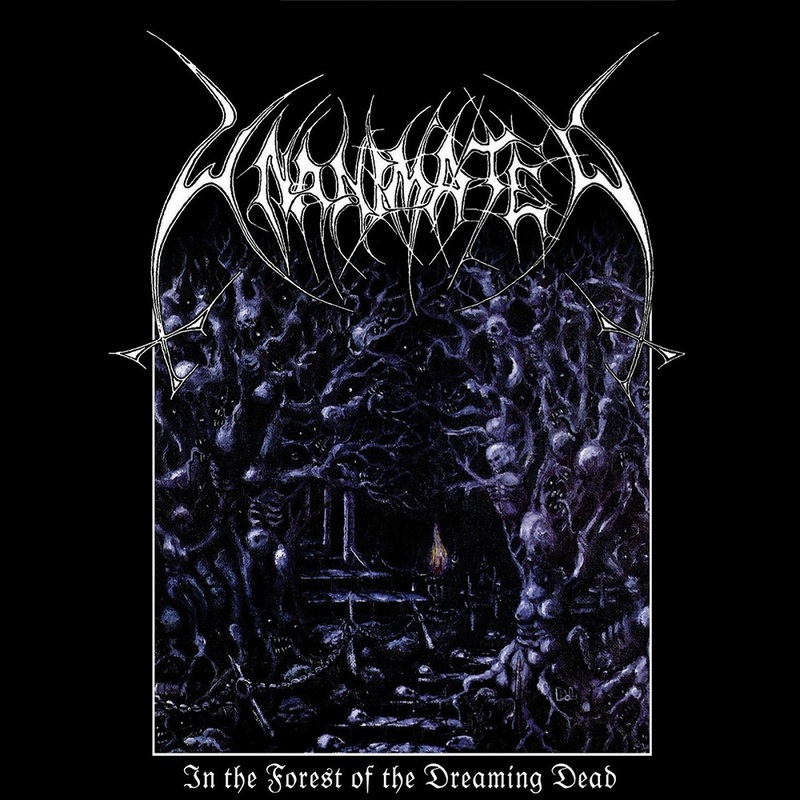 But unlike the melodic death bands of Göteborg, Unanimated stayed at the heavy riff centric song structures and didn't try to build the whole concept around melodies that are so catchy as it's possible. The slowly uprising shadow of the Norwegian black metal scene had a strong influence on their music and the lyrics about mysterious dark forces and melancholic topics are also evident references. But in this case not the sizzling sound gave the occasional atmosphere, but some '80s heavy metal influences which turned this album to a bridge between the old school style and the actual modern trends in extreme metal. It sounds like they "dreamed" these following trends shortly before their wider spreading. Even the title and the visuals leaving no doubts that Necrony was very determined to follow the path of Carcass, the masters of goregrind and ultimate musickness. Their one and only full-lenght album may sound nostalgic, because probably Necroticism was their main inspiration. 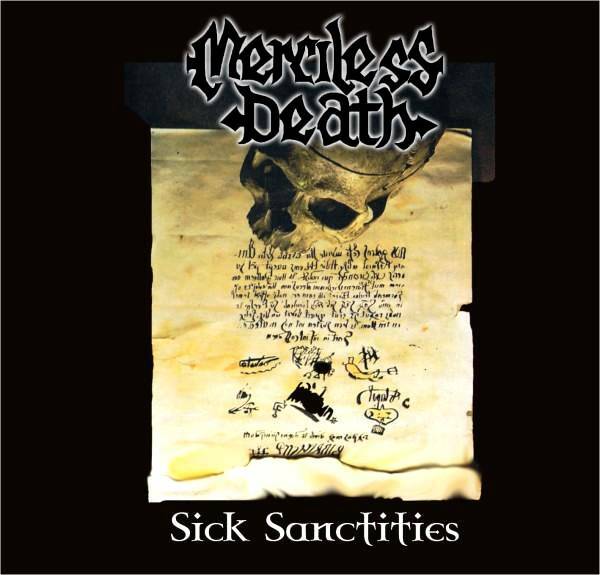 Similar to the third masterpiece of Carcass, the mix of death metal and grindcore is the main feature of "Pathological Performances" with longer song lenghts, and occasional grinding parts. 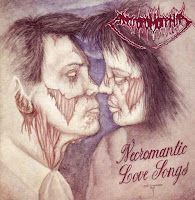 Deep growling vocal style and artificially distorted, animalistic voices causing pleasurable moments, which may referring to the earliest, pure grindcore times. Strong death metal riffs having the main lead, but sometimes short melodic themes appearing too, which are like reminders to the sickest moments of the band's idols. These appearences are unexpected and first may sound weird, like if they would be uncertain and wouldn't be able to fit to the main insanity, but gave an exciting new tone with their '80s-like sound. 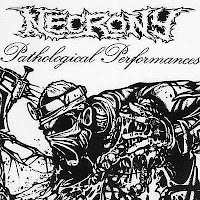 "Pathological Performances" is a nice reference album in the seek of the most putrid and the filthiest perfection in musical disharmony. 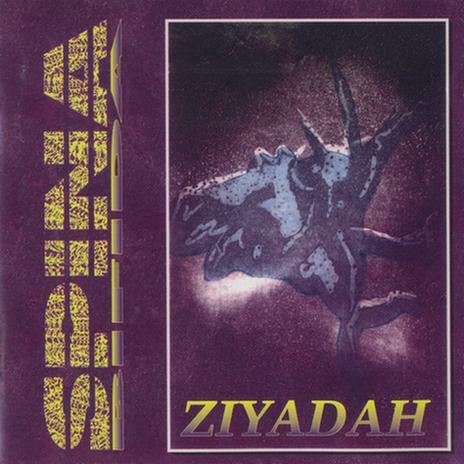 Amongst the lots of death and death/doom projects of the early '90s Dutch metal scene, Spina Bifida showed also what high standards meaning by their one and only full-lenght album, "Ziyadah". This high quality and well composed material is somewhere in the middle between the two ordinary ways of death/doom. The melodic, experimenting ambitions influenced by Paradise Lost are there, but the simple, heavy themes and harsh sound having leading role. The lyrics are closer to the first direction with their abstract and sometimes philisophical approach, so even if musically they sound unfriendly, the main message is more like agnostic, mystical and melancholic. Musically with less they tried to show more. That may sound like the same could be told about any other bands in this style, but in this case it's not a potencial soundtrack of complete destruction and hopelessness, but serves only the heaviness of their music, trying to keep in balance with the lyrics and may give an interesting impression that made this album extraordinary. Before Phlebotomozed completely sank into the chaos of avantgarde metal, they had an EP that stayed closer to ordinary death/doom than their late works. Somehow it's inevitable to mention Paradise Lost as a main influence when it's about experimenting or more melodic ambitions in death/doom, and in their case is not different either. They operated with simple, heavy riffs and sound, but keyboards and violin turned the main view softer than it sould used to be in this style. The involve of these two instruments created an atmoshphere that not only had a following role like in general if they are in use, but often took the lead too. No matter how aggressive tone they had or how harsh their music sounded like, in lyrical topics they stayed at abstraction and alternative approach. The avantgarde experimentings are on a lower level on this EP, but some risky tryings could be found already. Sudden and unexpected changes, melancholic light melodies, progressive metal and even folk music features appeared, but in this amount they didn't turned things into complete chaos yet. The song's extenteded lenght they filled with enough diverse themes to keep constant focusing from the side of the listener. An interesting experimental record for the seekers of challenges in extreme music! 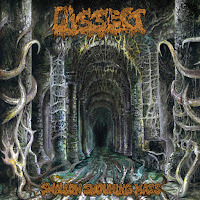 Dissect is one of the countless and forgotten one-album death metal bands of the early '90s. 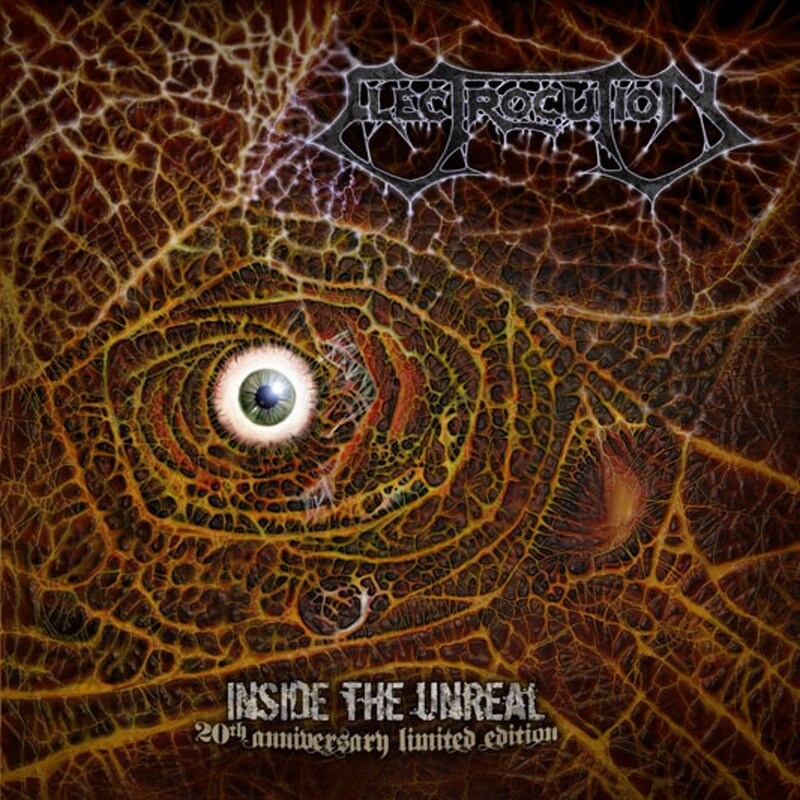 Similarly to the other Dutch bands of that era, sound and quality they also took seriously, and produced a material that is worthy to take place between the most enjoyable albums of old school death metal. In influences their music reminding mostly to the Floridan scene. Some balance between common mid speed and thrash influenced fast hammering, sometimes slower, sometimes almost groovy themes are the main features of their music. In themes they also seemed like to seek some balance by basic riffs and short, melodic solos. The deep growling vocals and gory lyrics adding a sick background to the main view, and referring to Cannibal Corpse, but in general plenty of other bands could be named as non-direct influences. In intensity they are also somewhere in the middle, by trying to build on the contrast of speed changes and evolving the heaviness of the slower parts with the raw brutality of fast hammering. "Swallow Swouming Mass" could be and exciting album for the fans of old school extreme music.